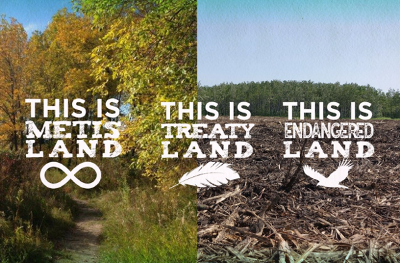 In response to the unannounced start of the clear-cutting of a 57 acre forest and wetland in the southwest of Winnipeg in july 2017, Jenna Vandal, a Métis Woman, blocked machinery on the site and put out a call for action and support. In short time, a land defense camp was established to block further destruction of the site. This was the Rooster Town Blockade. After 2 months of the blockade successfully stopping work on the site, a judge granted an injunction requested by the land-owner and developer Andrew Marquees for the blockade to be cleared. And while the land defenders left the site without arrest, the developer named 49 people in a lawsuit, seeking at least 500,000$ in damages. Today on AW@L Radio we are speaking with a spokesperson from the Rooster Town Blockade, James Hilt.